Microcytic Hypochromic Anemia: What You Need To know! “Having low blood” or “low hemoglobin” are common phrases used to describe anemia. Women are more likely to develop anemia primarily due to bleeding during menstruation. The most common variant of anemia that women get during their reproductive years is microcytic hypochromic anemia. The most severe consequence of this anemia is the deprivation of oxygen to the bodies tissues and organs. What is Microcytic Hypochromic Anemia? It is best to learn such definitions by splitting up the terms. Microcytic, in simple terms, generally refers to a cell that is smaller than its usual size. An anemic red blood cell in this variant of anemia is smaller when visualized under a microscope. Hypochromic is generally used to describe a cell that is paler than its usual color. What is the normal range of hemoglobin in women? For women, the normal hemoglobin range falls between 12 - 15.5 g/dl. Levels that range between 10 - 12 g/dl are usually acceptable and some simple lifestyle changes are advocated to boost hemoglobin levels. However, patients with significantly low levels of hemoglobin are usually required to obtain treatment for the underlying cause of anemia. What are the causes of Microcytic Hypochromic Anemia? This is one of the most common causes of microcytic anemia among women. It occurs due to excessive bleeding during menses and the low consumption of iron. Males can also experience iron deficiency due to bleeding from the gut. This is a genetic disorder, where anemia is usually evident earlier during childhood. Specific proteins in the red blood cells are not formed adequately and result in dysfunctional red blood cells that ultimately cause anemia. This medical category refers to inflammatory and infectious conditions that prevent appropriate usage of iron throughout the body. Some examples include cancer, kidney disease, diabetes, and arthritis. These are some of the most well known medical causes for microcytic hypochromic anemia. There are plenty of other causes, however, they are less often cited as causes. What are the symptoms of Microcytic Anemia? There are no specific symptoms that can be attributed to microcytic hypochromic anemia. Most of the symptoms usually occur as the anemia has progressed on for a while. In some cases, women adapt to the changes caused by the anemia and are unable to identify any particular symptoms. Anemia is usually detected incidentally when doctors request blood tests for their patients. An unusual symptom of anemia is ‘pica’. This is an urge to eat some unusual things such as dirt, clay or chalk. However, this is a rare manifestation of iron deficiency anemia. What are the techniques used to diagnose Microcytic Hypochromic Anemia? The most simple and routinely used test to check for anemia is a complete blood count (CBC). In this test, the hemoglobin levels, as well as various parameters such as the cell size, can be analyzed. This preliminary test can help identify anemia. Following this, a peripheral blood smear is conducted. This is one where the color and size of the cells can be analyzed using a microscope. Tests for iron and related parameters are also carried out to check for the underlying cause of anemia. For women, menstrual patterns are usually assessed to check whether heavy menstrual flow could be a cause for anemia. Conditions such as fibroids, endometriosis or hormonal imbalances can all be underlying causes for anemia. How is Microcytic Hypochromic Anemia Treated? The first most basic step is identifying the cause of anemia. Treatment is vital, as long-term anemia can cause severe consequences to internal organs. In most cases, since a deficiency in iron is a cause of anemia, supplementation of iron for a few months is usually recommended. Treating underlying chronic conditions (such as infections or inflammations) also helps to resolve the anemia over time. Women who have heavy bleeding, are usually investigated further to determine treatment options. Fibroids and other anomalies are usually surgically treated. To reduce blood flow oral contraceptive pills are sometimes suggested for treatment. In severe cases, in patients who have excessively low hemoglobin, blood transfusions are usually indicated. What are the options to Prevent Anemia? For those who develop anemia as a consequence of a genetic disorder, there is no way to prevent anemia. However, in other cases, the best way to avoid anemia is to have a diet that is rich in essential vitamins and minerals. In spite of following a diet rich in these ingredients, it is still possible to develop anemia. Anemia is one of the most common medical conditions observed among the general population. Most of the anemia that is observed is primarily due to nutritional deficiencies. 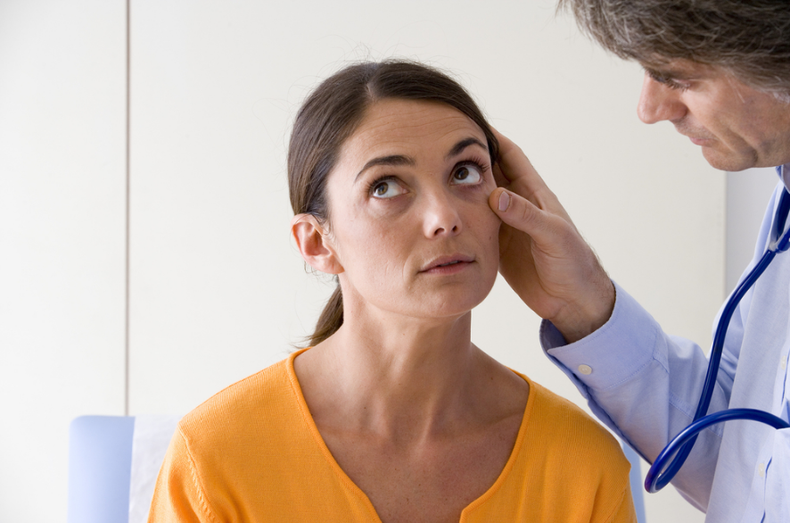 Being able to identify the subtle symptoms of anemia is vital. If the symptoms prolong for two weeks without subsiding, consulting with a physician is essential. Women who have heavy menses are likely to have microcytic anemia. Consulting with a gynecologist to rule out possible underlying causes and receive adequate medical treatment is crucial. Anemia can be treated and should never be ignored. Drink pomegranate juice, palak-tamatar soup or eat it's salad or sabzi. My Hb is 9....is it dangerous?